knows what a nativity is. They might even know about the three wise men. And maybe, they know the three gifts that were brought. Not exactly exciting gifts for a baby. The gold maybe. Save it someday for a college tuition, eh? The gifts demonstrated who Jesus was and what his mission was going to be. 1.) Gold: The gift of gold was often reserved for royalty. The Magi told King Herod that they had come to see the one born King of the Jews. It is clear that they recognized Jesus as being royal but the question is why? The issue is the star of Bethlehem. The Magi had seen the star and they recognized the importance of the star in the sky as a sign of a spectacular birth. The Magi brought gold in some form, whether it was jewelry, coins, or just pieces, we are not told. The importance of the gift was that it represented the fact that Jesus was royal. 2.) Frankincense: The gift of frankincense is somewhat unusual. Frankincense was a highly valued commodity and somewhat rare. The Jewish people had a common use for frankincense that was directly connected to the worship of God. In the Temple, the Jews prayed before the Altar of Incense which was always kept burning. The substance burned on that altar was frankincense. When frankincense is burned it gives off a sweet smelling white smoke. The smoke rising from the altar of incense represented the prayers of the people rising to God in heaven. The only use of frankincense for Jews was at this altar and it was reserved for the worship of God. 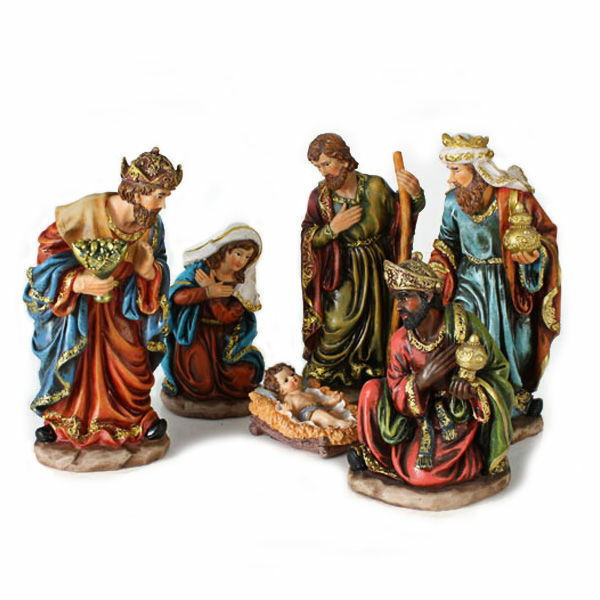 The Magi presenting this gift to Jesus represents the fact that He was indeed divine. 3.) Myrrh: The gift of myrrh seems the most odd of the gifts. Myrrh was extremely valuable and had a number of uses. The most common use was a perfume. Sometimes myrrh might be used in the homes of the wealthy to create a pleasant fragrance but was normally reserved for special instances. The major use of myrrh was for burials. Myrrh was placed on the cloths used to wrap bodies for burial to help prevent the smell of decay following death. The Magi presented this gift to Jesus as a representation that He would one day die. The gift almost seems to convey the fact that Jesus was born to die. Though there are still many questions about the Magi that may be left unanswered, we can determine that they brought a fourth gift that is often forgotten by many. After they laid their treasures down before Mary and Joseph, they worshipped Jesus. These wise men from afar came not just to court favor but to proclaim that they believed Him to be the King of kings. The greatest gift that we can offer to Jesus this Christmas is our praise and worship. This is really beautiful, so glad you shared it since I did not know about the gold and its meaning.